The Fixx is a premium 25% high solids floor finish that contains patented optically enhanced polymer technology to create depth of gloss and remarkable clarity. 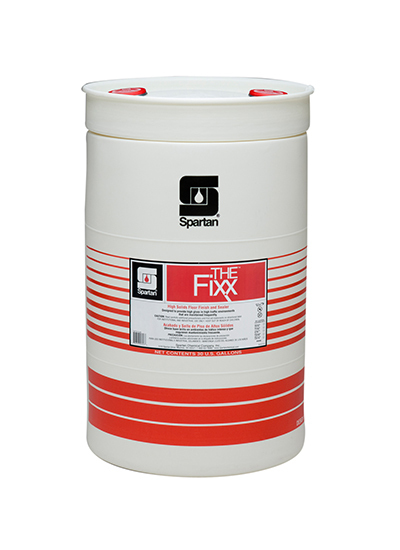 The Fixx creates a clear, bright, non-yellowing gloss on floors. The formula provides initial deep gloss that will actually increase over time in response to burnishing. The end result is a durable, burnishable finish with high shine and long life.